Hi! My name is Jill and my designer name is Angel Wing Scraps. I was given my designer name by my friend, Holly. I am a full time mother of 5 kids. I have 2 boy, Garry (12) and Joseph (7). I also have 3 girls Emma (11), Makenna (5) and Logan Marie (2). My husband is a truck driver and we have been married 18+ years. I have work in several areas of graphic design since for almost 20 years. I started out creating web sites and even owned my own business at one point. 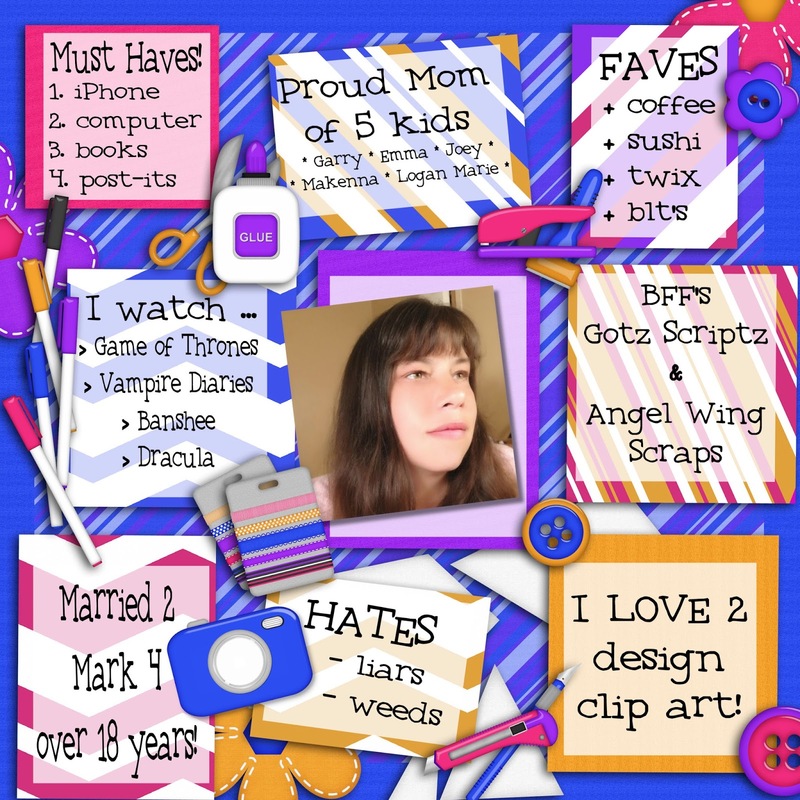 I eventually found my way to digital scrapbook design and now that is my main focus. I love making clip art. I think that is my favorite thing to make. I also make scrap elements, papers and full size kits. I have had many ups and downs since moving into the scrapbook world, but I think it has been worth it. I love all the wonderful designers and creators I get to meet. I finally feel like I have found my niche. I love hearing what others think of my work and get great job when I see my items put to use. Thank you for taking a moment to get to know me. Have a wonderful day. 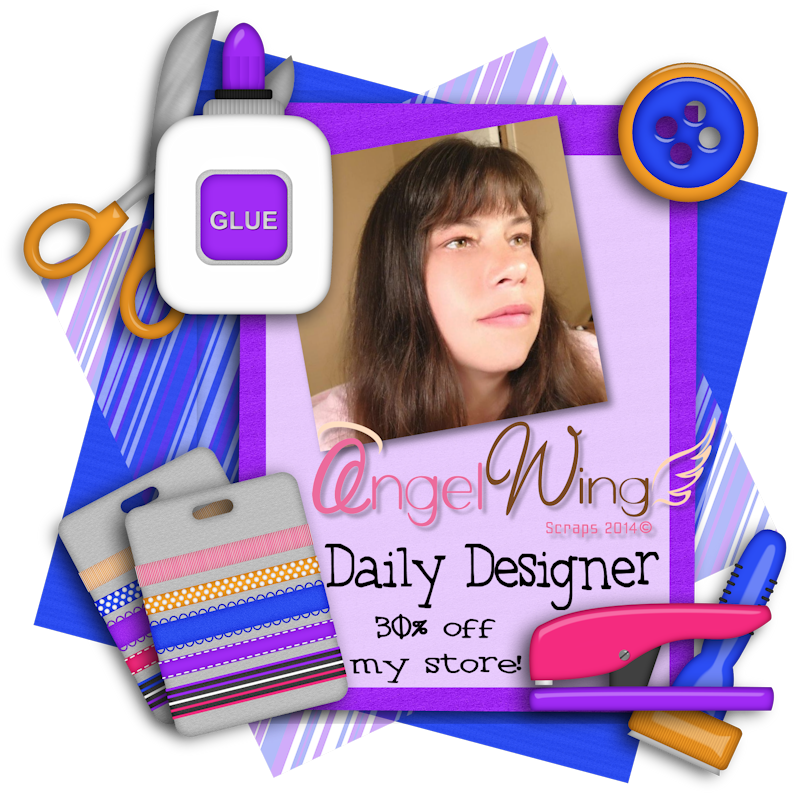 Shop Angel Wing Scraps in the MyMemories Design Shop and enjoy 35% off!